Hydro-electricity has played an important role in the industrial development of Newfoundland and Labrador. It is essential to economic development, and has allowed for the expansion of industry. Hydro-electric power has been crucial to the development of secondary manufacturing, particularly in pulp and paper, and mining. Without abundant electricity, many of Newfoundland's resources could not be manufactured locally, nor transported cheaply. Large-scale industrial development in Newfoundland did not occur until abundant power sources were developed. Joseph R. Smallwood was an early advocate of hydro development. In 1931 he wrote that "The future possibilities of hydro-electric development in Newfoundland are great," (Smallwood, 94), understanding that industrial projects required a great deal of electrical power. Smallwood was an advocate of hydro development. Courtesy of Archives and Special Collections (J.R. Smallwood Collection 075, Photo 5.05.061), Queen Elizabeth II Library, Memorial University of Newfoundland, St. John's, NL. 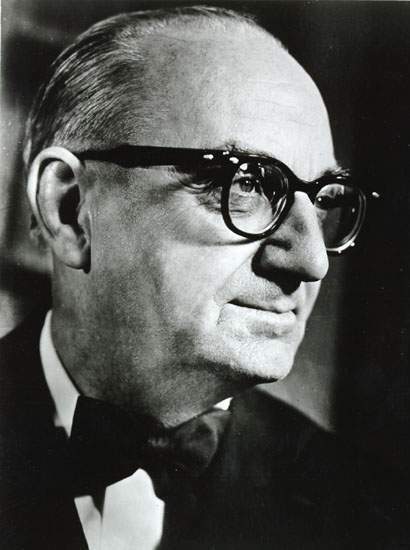 As premier from 1949 Smallwood turned to landward diversification to develop Newfoundland and Labrador. Hydro development thus became part of the push away from reliance on the fisheries to a more diversified economy. The earliest electric utility company in Newfoundland was the St. John's Electric Light Company formed in 1885 by A.M. Mackay, the superintendent of the Anglo-American Telegraph Company. That year, the St. John's Electric Light Company build the colony's first generating station for the Terra Nova Bakery, the Flavin Lane Station, which produced enough electricity to operate arc lamps in the windows of Water Street merchants. By 1900 Newfoundland had its first hydro-electric generating station, built at Petty Harbour. The Petty Harbour station transmitted electricity via transmission lines to St. John's where it was used to supply the electric tramway and eventually other electrical needs. Other early generating stations were built in Victoria in 1904, Grand Falls in 1908, Port Union in 1917, Seal Cove in 1924, Deer Lake in 1925, and Lawn in 1930. 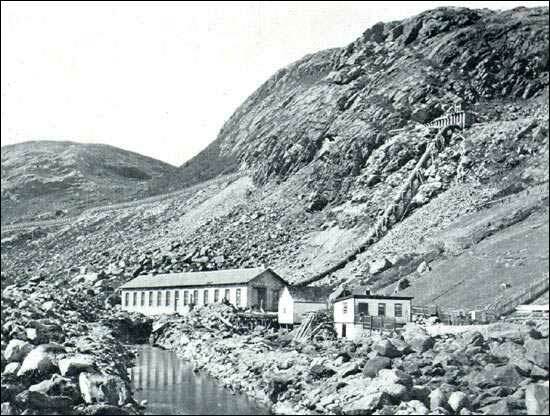 Newfoundland's first hydro-electric generating station was built at Petty Harbour in 1900. Electricity was transmitted to St. John's to supply the electric tramway. From Moses Harvey, Newfoundland at the Beginning of the 20th Century (New York: South Pub. Co., 1902) 176. The Port Union generating station provided electricity to the Fishermen's Protective Union premises, and later supplied much of the Bonavista Peninsula and Clarenville. The Anglo-Newfoundland Development Company (AND) owned two of the early hydro-electric generating stations in Newfoundland, one on the Exploits River near Grand Falls, the other by Bishop's Falls, which supplied electricity to the Grand Falls pulp and paper mill and to the surrounding communities, both built in 1908. The Bishop's Falls station was developed by A.E. Reed, and later sold to AND. The two stations provided enough power for the Grand Falls pulp and paper mill and supplied electricity to central Newfoundland towns, including Grand Falls, Windsor, Bishop's Falls, Botwood, Badger, Millertown, and Terra Nova. Another hydro-electric station was built at Deer Lake in 1925 to supply the International Pulp and Paper Company's mill in Corner Brook. Conditions of work on the early hydro generating stations were poor (MacLeod, 180). In 1929 the Deer Lake station also began supplying power to the American Smelting and Refining Company mine in Buchans. The two pulp and paper mills combined consumed over 90 per cent of all electrical power produced in Newfoundland. Other hydro developments were discussed in the 1920s, including the development of the Hamilton (Labrador) and Bay d'Espoir rivers.